No. 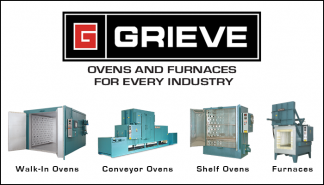 831 is a 950°F (510°C), belt conveyor oven from Grieve, currently used for heat treating springs at the customer’s facility. Workspace dimensions of this oven measure 14” W x 54” D x 3” H. 81,600 BTU/HR are installed in a modulating infrared natural gas burner to heat the oven chamber, while a 250 CFM, 1/3-HP recirculating blower provides vertical downward airflow to the workload. 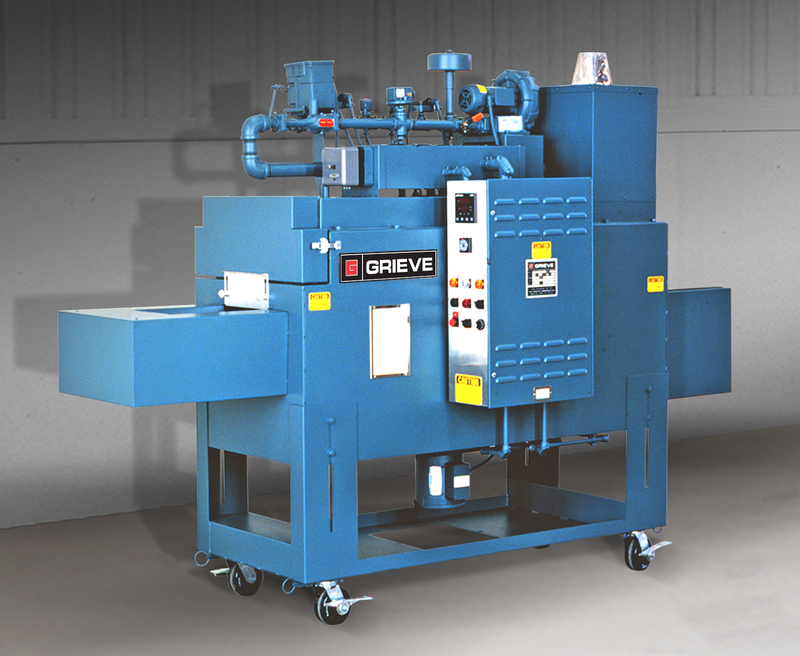 This Grieve belt conveyor oven has a 12” long open belt loading zone and a 54” long insulated heat zone with recirculated airflow. 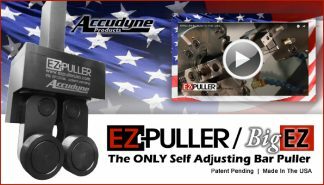 Features include a 12” long open unloading zone and a 10” wide, 0.041” high carbon steel woven wire conveyor belt with 1/40-HP motor variable speed drive. 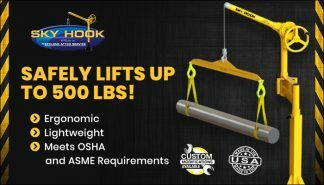 Additional features include 4” thick insulated walls comprising 2” of 1990°F block and 2” of 10 lb./cf density rockwool and an aluminized steel interior and exterior. The oven is equipped with safety equipment required by IRI, FM and National Fire Protection Association Standard 86 for gas-heated equipment, including a 130 CFM 1/3-HP powered forced exhauster. Controls on the No. 831 include a digital indicating temperature controller.